East End Film Festival presents the London Premieres of the thrilling docu-fiction DRIB from film director Kristoffer Borgli and the jaw-dropping documentary Liberation Day by artist Morten Traavik. This spring, the London Premieres of two amazing films from Norway take place at the annual film and multimedia arts festival East End Film Festival (EEFF). As one of the largest film festivals in the UK, EEFF will be screening Norwegian film director Kristoffer Borgli’s DRIB on June 17 at Hackney Picturehouse, as well as Liberation Day by Norwegian artist and theatre director Morten Traavik on July 2 at Electric Shoreditch. In DRIB, Kristoffer Borgli retreads the true story of his friend, Norwegian-Iranian comedian Amir Asgharnejad who, in 2014, was hired by an energy drinks company to take part in an unhinged gonzo marketing campaign. With Amir himself in the leading role, DRIB is a thrilling takedown of advertising, consumerism, energy drinks and bodybuilding – the perfect encapsulation of comsumo-media nihilism for 2017. 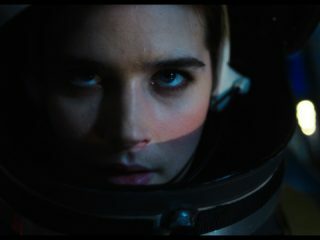 The London Premiere of DRIB takes place on Saturday, June 17 at 8:40pm at Hackney Picturehouse, as part of EEFF’s Discovery Weekend, which features the best films from the most important new voices in cinema. When Norwegian artist Morten Traavik in 2015 was offered the chance to bring a Western rock band to play in Pyongyang for the first time, he found himself in a position to make history. The documentary musical Liberation Day tells the story of the encounter between Slovenian art rock behemoths Laibach and the totalitarian state of North Korea. A jaw-dropping experience, Liberation Day sees its London Premiere at Electric Shoreditch on Sunday, July 2 as part of the Headline Weekend.